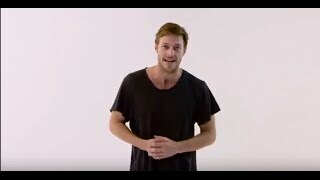 The Australian actor who appeared in "G.I. 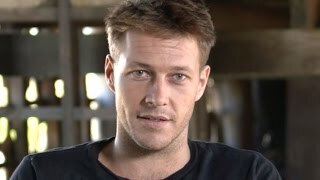 Joe: Retaliation" is back on the big screen in Mel Gibson's latest film. 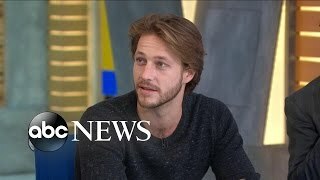 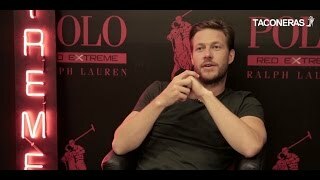 Amber Heard and Wanda Sykes talk about their experience with stunts and extreme sports after James talks to Luke Bracey about stunts in "Point Break. 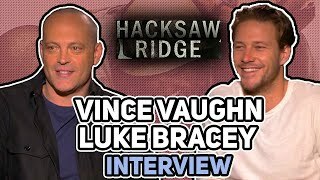 Jon Kelley interviews Vince Vaughn & Luke Bracey for "Hacksaw Ridge" from October 23, 2016. 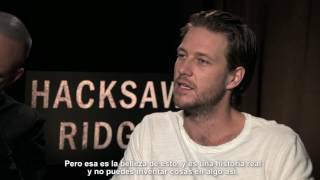 Entrevista con Vince Vaughn & Luke Bracey de la película "Hacksaw Ridge"
Me Him Her is out on Streaming services internationally and in theaters in New York and LA on March 11th. 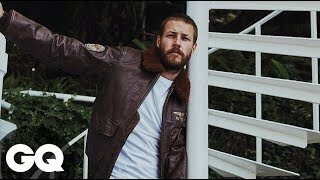 Luke Bracey takes selfies while departing Vanity Fair Fiat Young Hollywood. 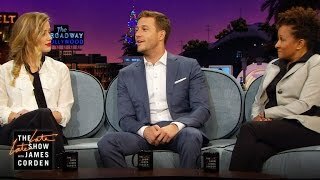 Teresa Palmer and Luke Bracey talk about their extreme stunts at 3000 ft high and at the bottom of the ocean.